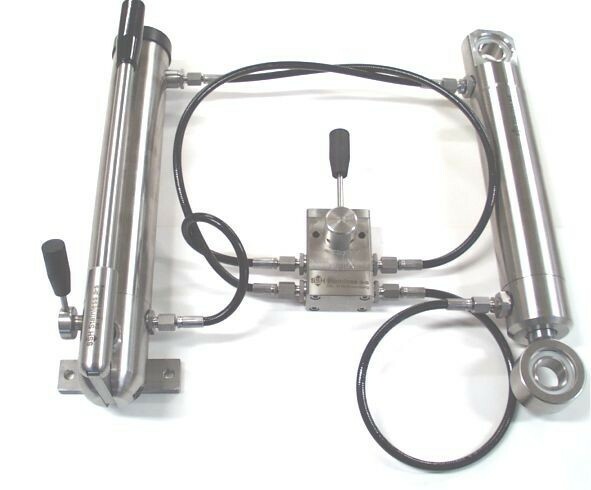 Together with the hand operated NRV 4/3 directional valve you optain a complete system. You can with advantage use the SSH S4DN4 hydraulic hose including pressed stainless fittings for the system. Sammen med den håndbetjente NRV 4/3 retnings ventil har man et komplet system. SSH S4DN4 hydraulikslangen med rustfri koblinger.